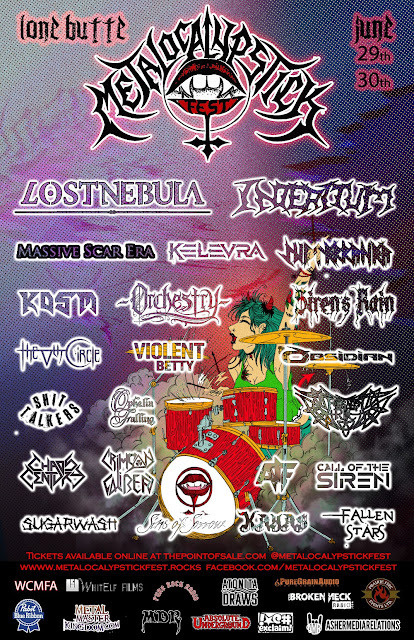 Everything Heavy Metal: Metalocalypstick: Canada’s Premier Women Focused Metal Festival Announces 2019 Lineup w/ Lost Nebula, Interitum, Massive Scar Era and more! The Metalocalypstick Festival will be hosted in Lone Butte, BC, Canada. Over the weekend 22 bands will be taking the stage and performing. Each band will have at least one woman in a show of feminine power across metal, punk and rock.